We recognize that we can only craft great beer if we use great ingredients. In fact we are fanatically about our ingredients. Our head brewer, Michael Brandt, began his love affair with plants as a viticulturist in Northern Virginia, managing the vines at Naked Mountain Vineyard and Winery. Experiencing firsthand how the growing practices drastically change a wine grape’s flavor and aroma solidified Brandt’s belief that growing and controlling as much of the ingredient inputs into Garden Grove’s beers and wines was paramount. Brandt gained further expertise in agriculture and plant sciences by taking a break from winemaking and viticulture to study and research environmental sciences and ecology (Virginia Commonwealth University, Longwood University, Smithsonian Institution Conservation and Research Center) and agricultural sciences (Virginia State University). At VSU he planted and managed an organic wine grape research vineyard. Additionally at the SICRC Brandt conducted native plant surveys. Brandt became skilled with the identification and uses of unique plant species which he has focused on the beverage arts. This unique understanding of plants takes Garden Grove beyond the typical hop obsessed brewery de jour. Brandt is adept with hops, creating excellent IPAs but focuses on other botanicals, many foraged and also grown on Brandt’s urban garden. Captivating flavors are coaxed out of ingredients that most breweries have never considered, such as Autumn Olive berries, Spice Bush leaves, Sumac berries, Aronia berries, & Rose Hips. We intentionally decided to avoid building a factory brewery and instead crafted a nano brewery for two important reasons. First: It allows us to experiment, perfect our art and create flavors that have never been experienced before. We can take chances, use rare and hard to find ingredients, and foster close nit relationships with the community. 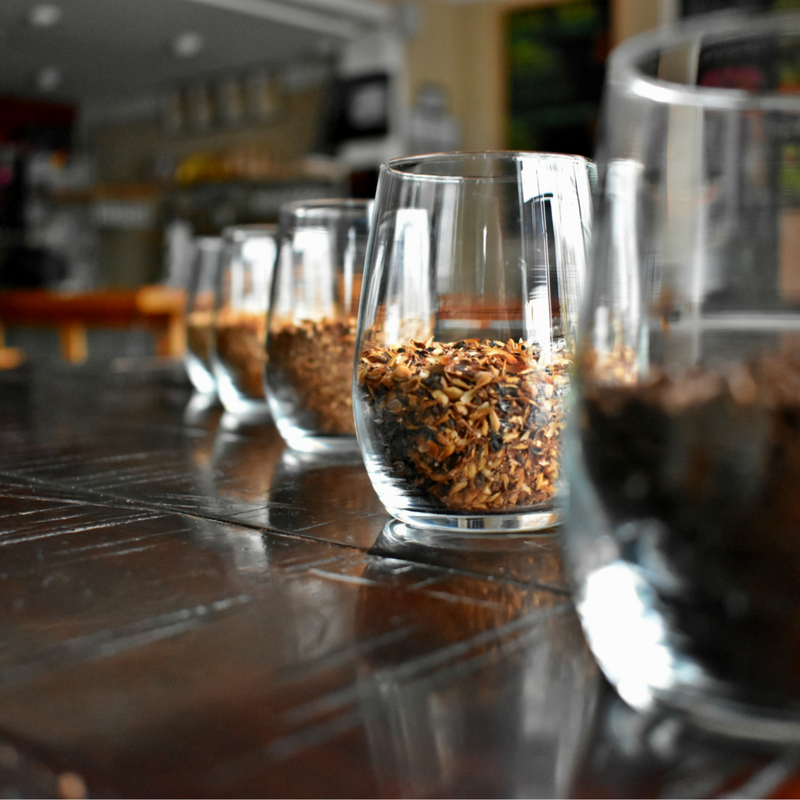 We can make beers and wines using ingredients sourced from a single farm, urban garden, or created by a local chef. We produce flavors that are impossible to experience anywhere else. Classic brewing techniques are used in our 3 bbl brewhouse but we refuse to follow convention and we utilize winemaking techniques such as barrel fermentation that are incredible rare in modern breweries. The flavors developed by yeast fermented in a barrel are cleaner and more expressive than the tastes and aromas developed fermenting in industrial conical brewing tanks. We also frequently use barrel techniques that add wonderful flavors and aromas that make for complex, delicious, and unforgettable beers. Second: we created a nano brewery to avoid the pit falls of packaging and distribution. Proponents of Small batch wine and craft beer have recognized the immeasurable quality that is possible when the ingredients are grown by the producer, the beverages are never under harsh storage or transportation conditions, and are served fresh at the source. Garden Grove Brewing and Urban Winery brings wines and beers crafted under those perfect conditions directly to Richmond, VA. It all starts with an understanding of what makes a great beer. Some of the best days of our lives have been spent searching for and discovering the great beers of the world. Beers that are in perfect balance and reflect the place they were invented. The history of a beverage is critical to understanding the flavors and distinct characters that make it a classic. The ingredients available at the time of their creation, the fermentation temperatures available to the brewer, the equipment used. They are paramount in understanding the flavors of a classic Belgian Wit, Dry Irish Stout, West Coast IPA, or a Belgian Quadruple. To recreate or reinvent the world’s great beers you must understand all aspects of the beer that exemplify that style. Our experience with the flavors and the methods used to create the world’s classic beers guides the creation of our own beers and the new styles that we invent every day. Garden Grove’s Beer lineup includes many classic styles such as Pilsners, Stouts, IPAs, & Belgian Trappist Ales but there is always an eclectic, diverse selection that often includes fusions of beer and wine styles such as our Belgian Quadruple “Death” made with Petit Verdot grapes from Garden Grove’s own vineyard and aged 1+ year in red wine barrels. See whats on tap now!